Limerick won the Munster u21 in 2011, 15 and 17 and the All Ireland in the latter two - a quick look at these teams and the current one will point to a strong link. They also have a brilliant manager who seems to have harvested the talent excellently in terms of keeping feet on the ground and getting them to buy into the longer term. They also have a very generous benefactor. I wouldn’t necessarily say Galway are our complete bogey side at all - we have actually beaten them a few times this decade - 2013 the most memorable. Cork, Waterford and Limerick would be far more bogeyful! I hope I’m not casting a huge cloud. I expected nothing from today. Nor do I think we will get anything next week either. I am disappointed that we haven’t had a Matty bounce … but unless we get back to basics it’s gonna be a long and fruitless season. A couple of things I’d point out . four - Cormac Costello, Ciaran Kilkenny and Con O’ Callaghan and I’d add Chris Bennett. Dublin cannot afford to lose players of that calibre and beat the Galway’s of this world on a semi regular basis . If Dublin had the above four we’d be all-ireland contenders - No mistake about it. So Mattie has a tough gig . Not a bad campaign last year but there is nothing to suggest we have regressed in any way so far this year. I don’t disagree with any of that. Nor do I have any lofty ambitions for our lads at all. We are a good bit behind the top teams and should be more realistic about expectations imo. I suppose the real questions need to be asked are why are we so far behind the big counties? How can we close the gap? Think London jack has a fairly good handle on the main issues above. But we know that will always be a the case, so we have to work with what we’ve got. We’re building from a low ebb by our recent standards. last year was an improvement without getting the results. Hopefully we can build on that this year. Expect us to improve from here on, even with our well established issues. Tracy will bring experience, hopefully Schutte & Paul Ryan back soon. Think they should make a difference. We need our best 15 avalible to take on the better teams, that’s always going to be the case and it’s why we fell so far back under GC. We have some very good young players bedded in but a bit of work to do in the forwards. A few talented players coming through but they’ll need time, so looks like we’re going with the more established players. C Burke is the odd call for me, i’m assuming the doors are still open and if he goes well he’ll get another shot. Hopefully the u21s will go well this year. I don’t think we were hugely behind the big teams last year. Behind yes, but not hugely so. I don’t think either there are huge differences in expectations here. The difference is in the definition of the expectation. Personally I am happy if we were to become say a top six team, to someone else that is failure because we are not competing in All Ireland finals. I think there is another issue then the loss of players to other codes, although I do think Costello would have been a game changer. But what also concerns me a little is where are the guys who performed very well at underage, but we aren’t seeing them at senior. This includes the likes of AJ Murphy, Conroy, Cian McGabhann, Currie, Burke, Crummy (Paul) and Bennett as you mention. These weren’t just ordinary u21s, they were ones who stood out. I do agree there is a positive and not so positive way of looking at last year, and the management team did get the benefit of the media usually taking the more positive view. Especially in the Galway game, where in reality we were beat out the gate at half time. But that wasn’t a strong Dublin team out that day, although it got stronger in the second half. If we have a strong team out next week and we don’t show up (like last week), I think that is regression. If we get a performance, then we are still on track. As I said last year after the Limerick hammering, I am concerned but still have hope. I think Kenny found out stuff about players last week that he couldn’t have known until the level stepped up. I think one or two players substantially harmed their chances, which is unfortunate for them. I don’t understand why some other players weren’t tried but I don’t know the ins and outs of who made themselves available and who didn’t, so it is hard to judge. I think Conor Burke who was available deserved s bit more. I saw him against Laois where he only got a few minutes but he laid off a good pass for a point and against Offaly, I think, again the Walsh Cup where he got two points going on at half time. That was a better return then some players who are getting regular games. But that is just one player and there will always be differences in how players are viewed. I don’t think anyone ever said we are potential world beaters. People refer to them doing well and others refer to them doing badly, but that is often in reference to the same thing - it is just the viewpoint people are looking at it from. Speaking personally I would be happy with getting to an AI QF this year and performing ok in it. That to me is doing well. It’s not about regression. It’s that if we don’t change something, we will never get there. But it depends on where ‘there’ is. I think we have the players to be top 6 or 7 and I would like to see them do that first. After that we could worry about the next step. I regularly see lists of players thrown up here and the suggestion that they would be a match for anyone. It never happens. When is the last time we beat a Munster team? We were top of the 2nd tier - above Wexford. We probably are still top of the also rans now - but below Wexford. Our hurlers are good but they are simply not good enough. I’d have to agree. I mean expectations here are way too high at present . Con O Callaghan, Sean Treacy and Colm Cronin were vital components of Cuala’s AI run . How many are available to Dublin ? None. So not only have we lost the cream forwards from our underage teams in recent years - we haven’ even got the best players from the Cuala team ! This is a tough gig. We are definitely a step behind the top 4. They have more better hurlers then we do currently. But again, what expectations? No one here has said we should be top four. The most optimistic I have seen says we have good players and should do well, but I don’t think anyone here defines ‘well’ as winning All Irelands. On the Cuala team, Sean Treacy is available and hasn’t set the world on fire, personally I don’t think Cronin has the touch for inter county (although I could well be wrong on that) and O Callaghan has huge potential, but wouldn’t be near the game changer he is at club level at inter county. Although I would like to have him. I think that if they are being trained correctly and bringing the right intensity, the addition of Dillon, Burke, Schutte and Boland should make us a four or five point better team then last year. I don’t think that’s an outrageous claim. If they achieve that, they will get out of the group stage at the championship. I think that is ‘success’ and not doing it is failure. You must never have seen Con play underage for Dublin then . He’d be a game changer on any team . Including Limericks’. he’s better then two of their starting inside forwards in my opinion. Colm Cronin is exactly the guy Dublin lack on the 40 in my view. I did see him at underage and he was good. But on his last year minor team I thought McBride and Conroy were better. But he is good, I am not arguing with that, it’s how good he is that’s at question but that’s just a hypothetical on either side of the argument until we see him do it. Likewise with Cronin, it’s a matter of opinion really. He could be effective and he would definitely be worth a shot. My view is that he would lose ball because of his touch / technique, but I wouldn’t put the house on it. He could make it work. Schutte and O Connell were the two Cuala guys I was really interested in seeing. O Connell will be there or thereabouts but maybe just short of the first 15 (I think), Schutte could make a real difference. Likewise David Treacy will be there or thereabouts too. My view is that he would lose ball because of his touch / technique, but I wouldn’t put the house on it. He could make it work. We have a couple of those already! the addition of Dillon, Burke, Schutte and Boland should make us a four or five point better team then last year. It seems the less people play the better they get according to a few on here. 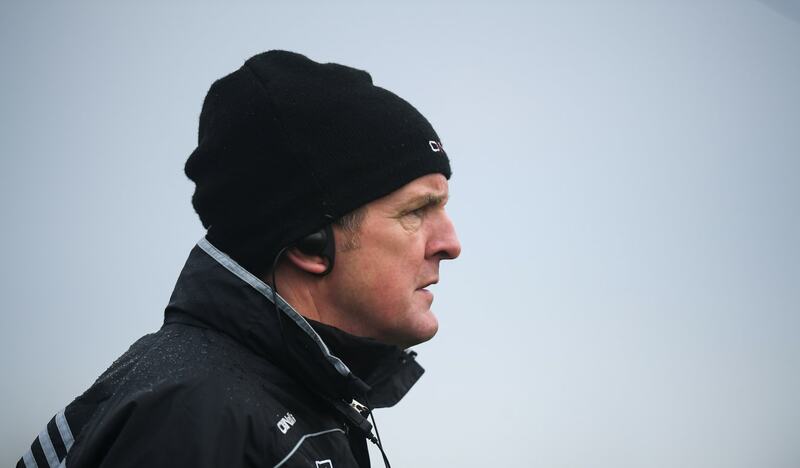 “He’s (Keaney) still a good few weeks away," Kenny states. "He had a pretty serious shoulder injury. You’ve the likes of Conal, Mark Schutte, Cian Boland, Paul Ryan, Paul Winters, all these guys are coming back into training now. I actually think Winters is in a good position to kick on this year, had a good bit of game time last year and is pretty well established at club level. Didn’t always go for him last year but he had good games/spells.